Hello lovelies!!!!! 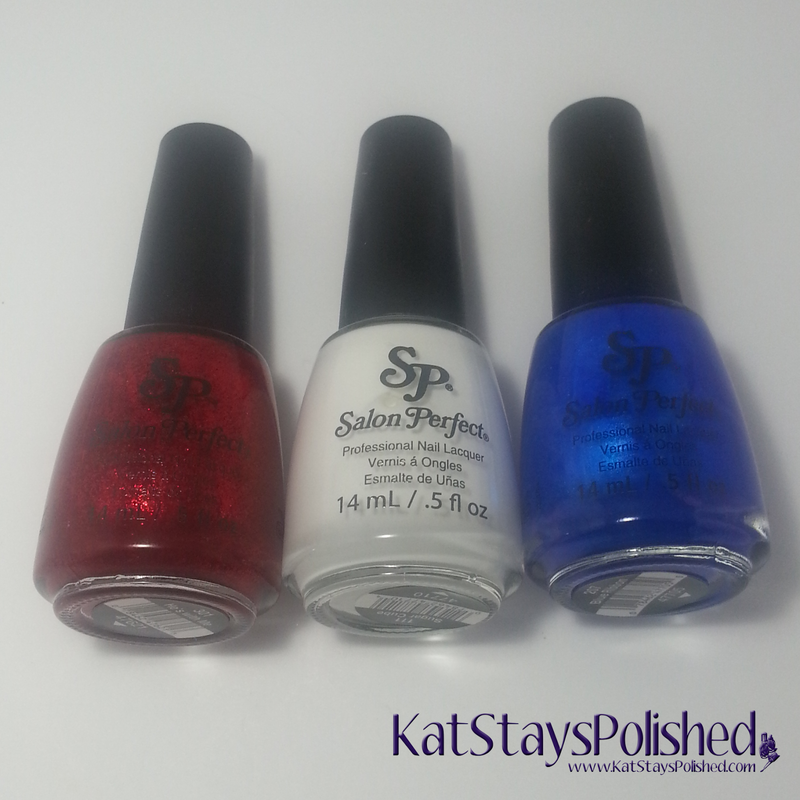 The end of the week is 4th of July so you still have time to come up with a red, white, and blue mani if you so choose! Today I have some Salon Perfect polishes from the Paint the Town Red White and Blue collection, available at your local Walmart! He's With Me is a gorgeous glittery, shimmery red. Perfect for the 4th of July because it totally reminds me of fireworks and sparklers. This is 2 coats with Salon Perfect top coat to seal it in! Sugar Cube is your basic perfect white and is a perfect base for all your 4th of July nail art. The first coat is a little streaky, but after the 2nd is applied, it's great! This is 2 coats with Salon Perfect top coat. Last is Blue Ribbon! Another one that reminds me so much of celebratory fireworks. 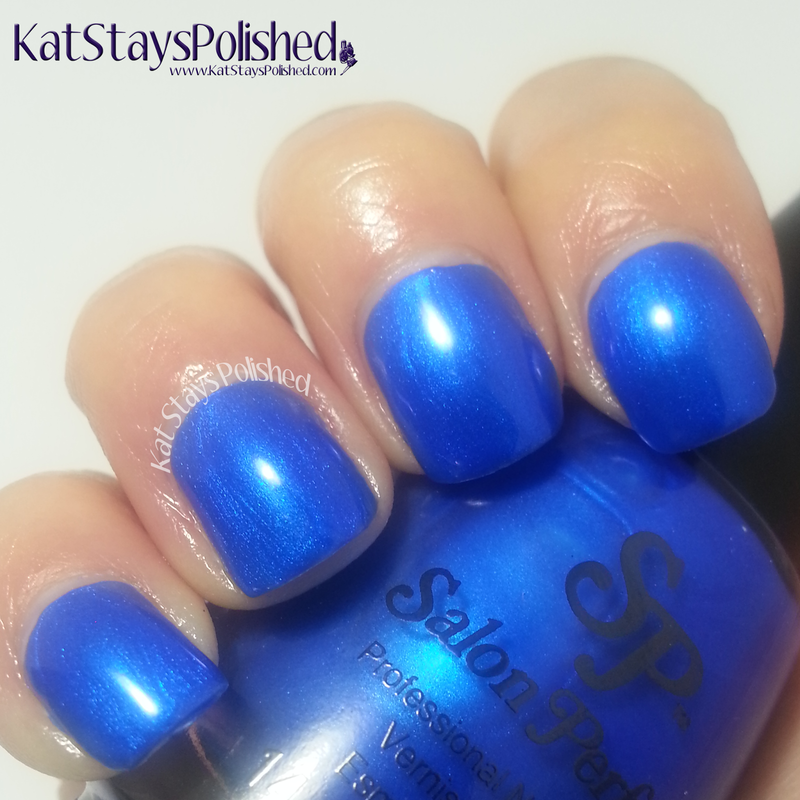 It applies smoothly and is opaque in 2 coats. Again, topped with Salon Perfect's top coat! So that's it for some of the basic patriotic colors from this collection. Stay tuned later in the week for some of the cute special effect glitter top coats! These polishes are available at your Local Walmart for $3.98 a piece. There nice colors! I really like He's With Me the most.